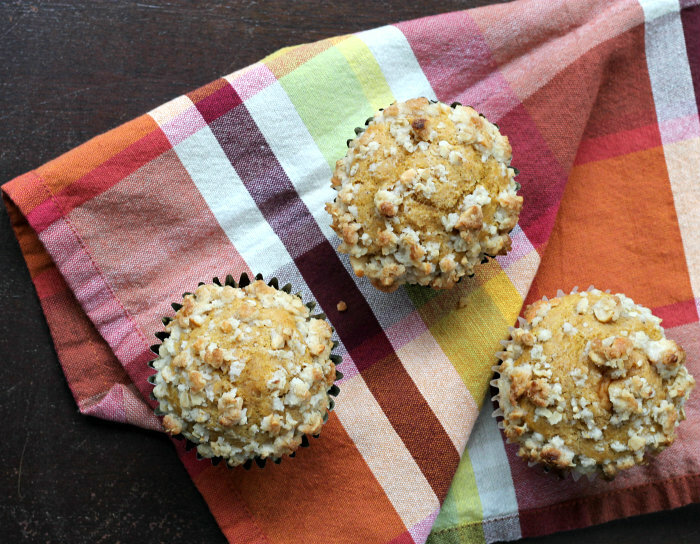 Breakfast is calling you … pumpkin muffins with peanut and oats streusel. I am the kind of shopper that likes to stock up on specials. You know when Thanksgiving rolls around and the pumpkin is on special, yeah I can’t resist buying a few extra cans. Then they get set in the pantry and eventually get pushed to the back, behind the cans of tomatoes and chili beans. Before you know it a few months have past and low and behold you find that can of pumpkin you just had to buy, surprise it is still in the pantry! That is what happened to me, not sure what I was looking for but there sat that lonely can of pumpkin just begging to be made into something delicious. Pumpkin muffins came to mind; I love how moist baked food becomes when pumpkin gets involved. Then there is the dry roasted peanuts that were also sitting in the pantry. The company that Mike works for hands out a box of “goodies” at Christmas time and there is always a jar of dry roasted peanuts in the box. Neither one of us is too big on these dry roasted peanuts, so I decided to add some to the struesel for a little crunch. Just as I suspected the muffins were moist and the peanuts added a little crunch to round out a yummy muffin. I love the spices that go with these pumpkin muffins, nothing out of the ordinary, but I still love the cinnamon, ginger, nutmeg, and cloves. What a great way to start out your morning, even if you don’t have time for breakfast, there is always time for a muffin. For the streusel - In a medium bowl sift together the flour, oats, cinnamon, and sugar. Add the melted butter and mix until well blended. Set aside until you have muffin batter mixed together. 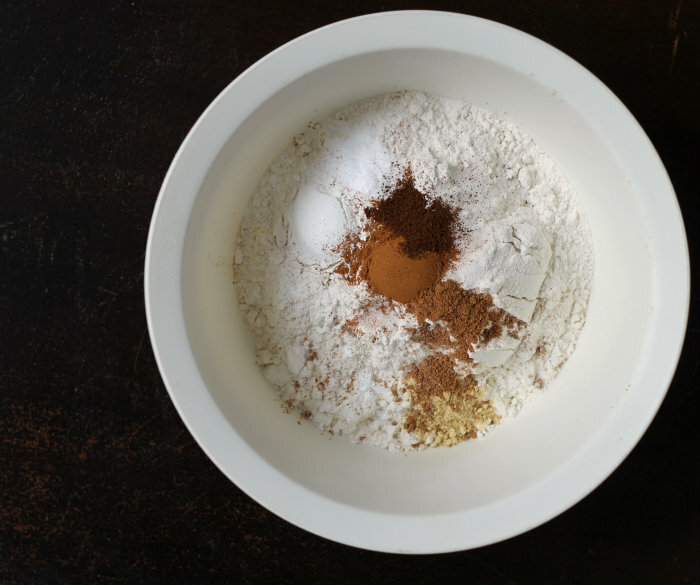 Sift together in a large bowl the flour, sugar, baking powder, baking soda, salt, and spices. In a small bowl slightly beat the egg and then add the butter milk, oil, and vanilla. Once it mixed together add this to the dry ingredients. Mix until blended. In a prepared muffin tin (paper liners or lightly greased) fill the muffin tins 2/3 full. Sprinkle with the streusel and gently press lightly with fingers. If you would like to have a bit sweeter muffins add 1/4 cup sugar. These muffins are fantastic to wake up to, Dawn. 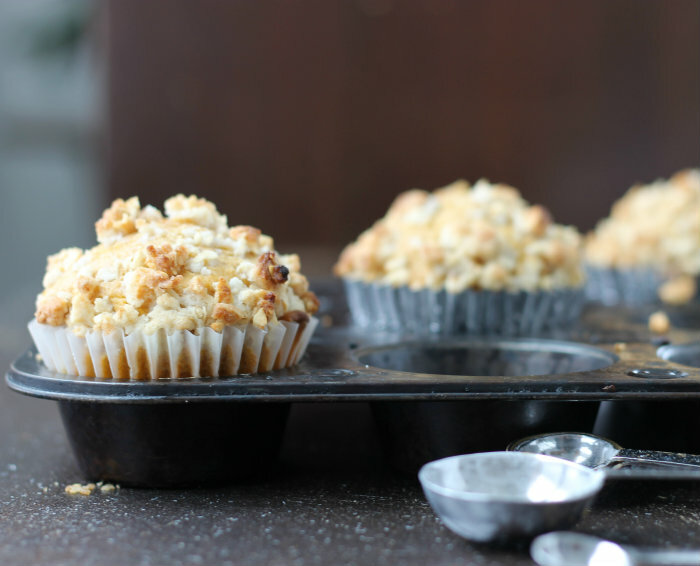 Love the combination of flavours and that streusel topping is totally irresistible! I love how you say there’s always time for a muffin. . so true. These look pretty darn scrumptious! I love pumpkin in baked goods. I still have cans of pumpkin too! I always buy too many. 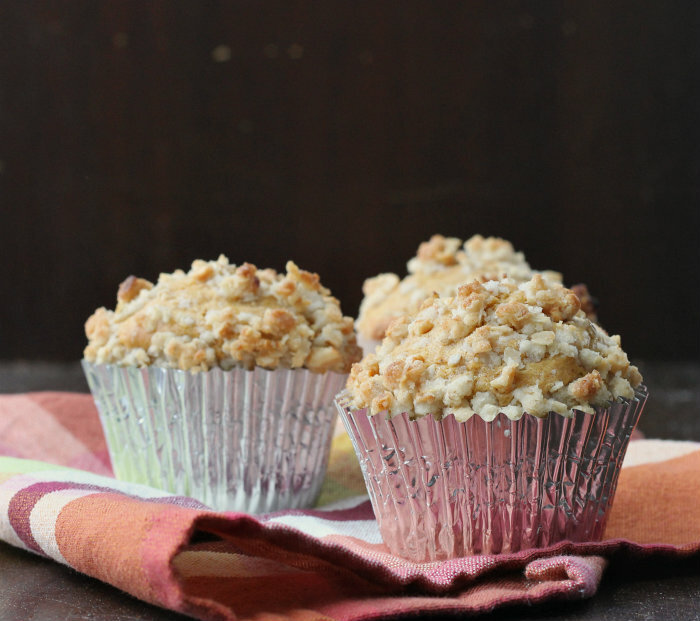 I love pumpkin muffins and your streusel topping makes them even more magnificent!